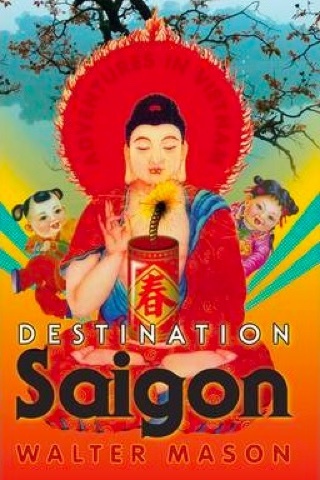 Destination Saigon is part memoir, part reportage, a collection of intimate and often very funny stories by Walter Mason about his exploration of spirituality across Buddhist-majority Vietnam. As he notes himself, so many books in English on Vietnam are focused on the French colonial era and the American war. 2010-published Destination Saigon aims to show readers what Vietnam is like today, in the 21st century. A series of carefully painted vignettes of Mason’s adventures there traverse the cities of Saigon and Hanoi as well as quiet villages and out of the way Buddhist temples. Vietnamese-speaking Mason is a serious scholar of Buddhism, and his purpose-driven travels and detailed theological knowledge elevate these stories loftily above your average traveller memoir. We are not fans of the latter genre, but we loved Mason’s stories, which leap from the page with a gritty and beautiful realism and are written with a light but always literary touch. His gently self-deprecating manner will have you laughing out loud. If you already know Vietnam, you’ll recognise some of the situations Mason finds himself in, while if you are planning a trip, it will help you prepare yourself for some of the fun to come.